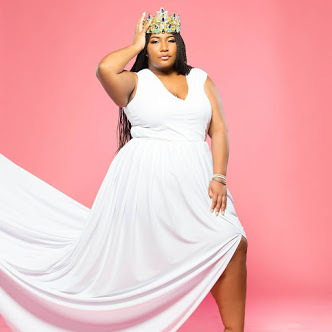 I am happy to bring you all a new Fashion Friday post and this time with a review! 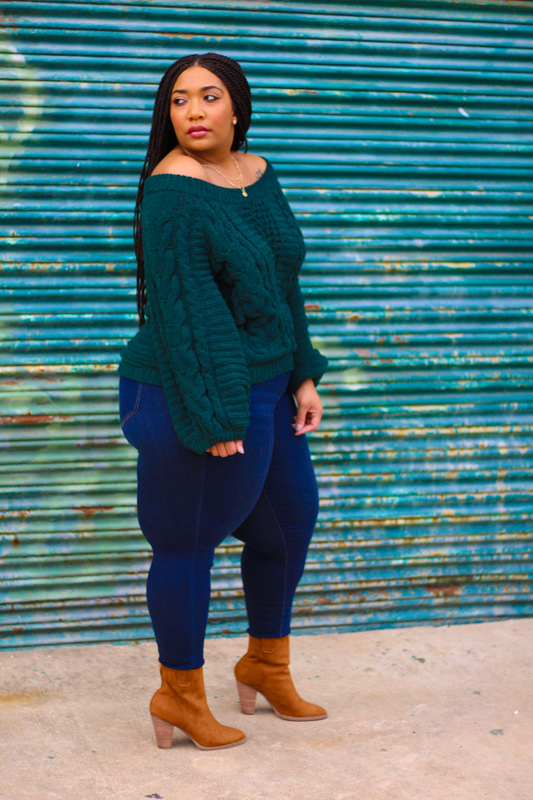 I have been rocking the New skinny jean line from Lane Bryant since it was released and I am happy to share a new pair. The Power Pocket skinny jeans are designed to tame the tummy. These jeans did just that! 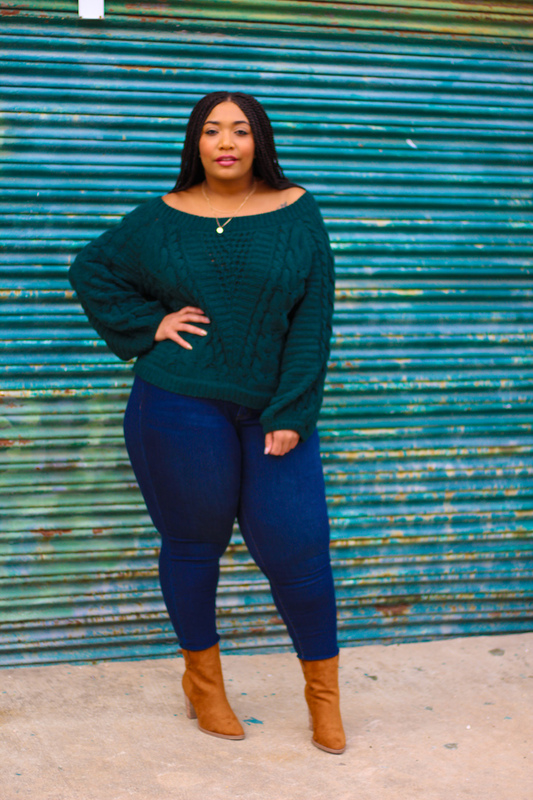 They controlled my tummy without being super restrictive and the jeans hugged my curves to perfection. 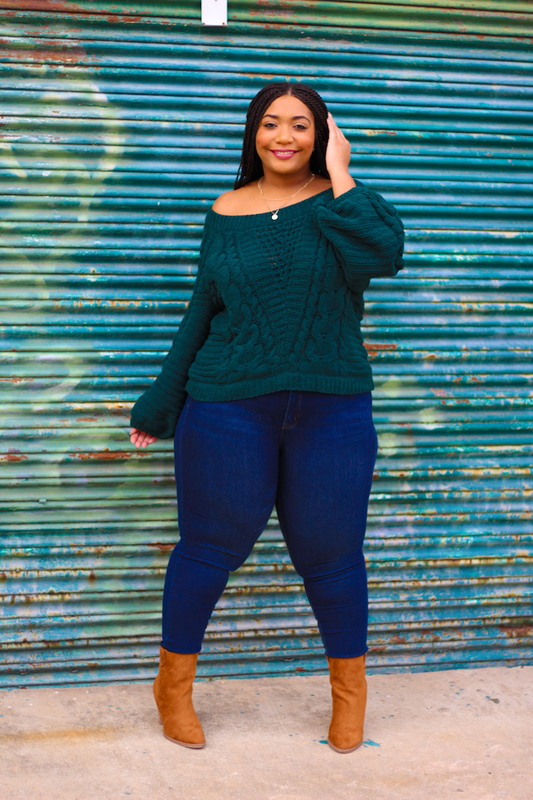 Now I paired these jeans with a sweater with exaggerated sleeves. I have been holding on to this sweater for months and happy to finally wear it. 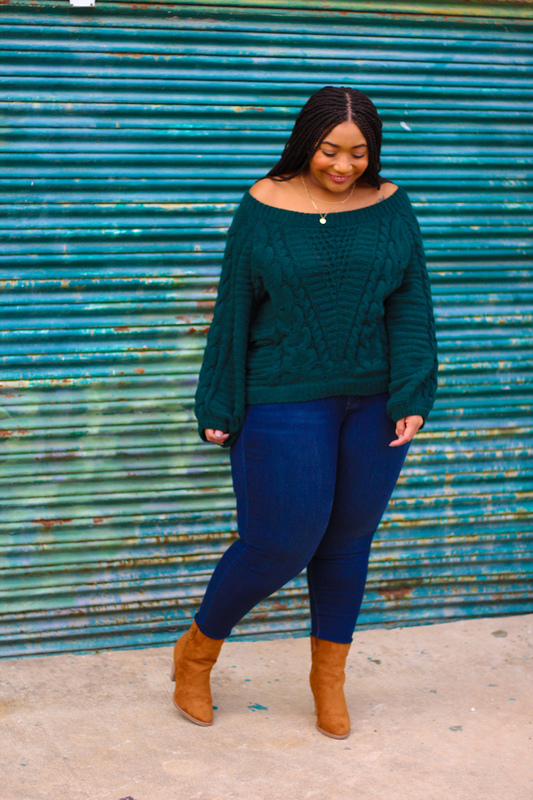 This sweater can be worn three ways on the shoulders, off the shoulders, or with one shoulder out. I opted for off the shoulders, because I am really into my shoulders lately. I completed this outfit with my favorite cognac booties (similar) and favorite gold necklace. I think I wear this necklace with everything. Have you ever held on to a clothing item until the right moment? Style Notes: My sweater is true to size in an XL. My booties (similar) are also true to size in a size 10. Now my jeans are an 18 and a little big since I am in a 16 now. 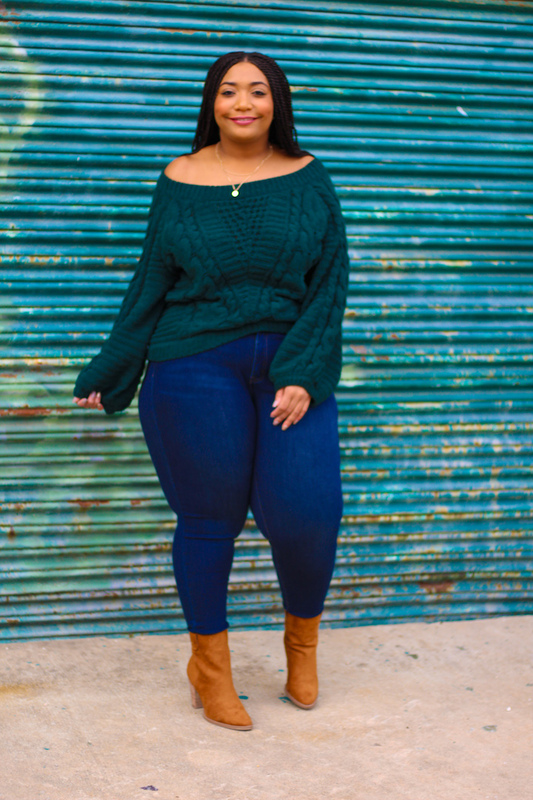 Jeans listed above were gifted from Lane Bryant, all opinions are my own.